John G. Lanigan graduated from University College Dublin with a BCL and qualified as a solicitor in 1962. He joined his father Thomas G. Lanigan at John Lanigan & Nolan in 1970 as a partner having worked in the firm of W.B. Gavin and Co. Solicitors in Galway for the previous seven years. 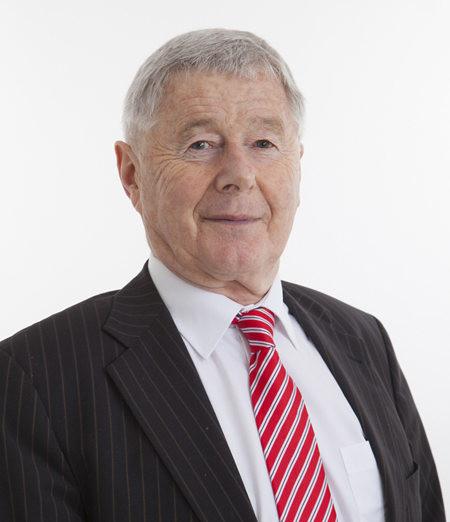 He has over 50 years professional experience and John Lanigan & Nolan Solicitors is privileged to have such a long serving and highly skilled solicitor acting as a consultant to the firm. John is an expert in commercial conveyancing, probate law, litigation and complex conveyancing and title matter. He is also a past president of Kilkenny Solicitors Bar Association, Kilkenny Rugby Club, Kilkenny Tennis Club and Kilkenny Rotary Club and a former captain of Galway Tennis Club.